What is the Driftwood Experience? At Driftwood Recovery we proudly practice transparency in all that we do. The ‘Driftwood Experience’ is an invitation to explore what makes our program, our people, and our property so unique. We know that finding the right program is imperative and we want clients, and those who support them on their journey, to feel confident that they have made the right decision for their sustainable, long term recovery. We invite you to connect with our team, speak with our clinicians, or join us for a tour so that you may witness first-hand our culture, our clinical expertise, and our commitment to providing an unparalleled treatment experience. Designed to honor the land and integrate with nature, the architecture on our 85-acre residential facility mixes materials sourced from the area with contemporary elements in order to create an ideal sanctuary for healing. Our beautiful residential quarters accommodate up to 18 adult residents in modern comfort. 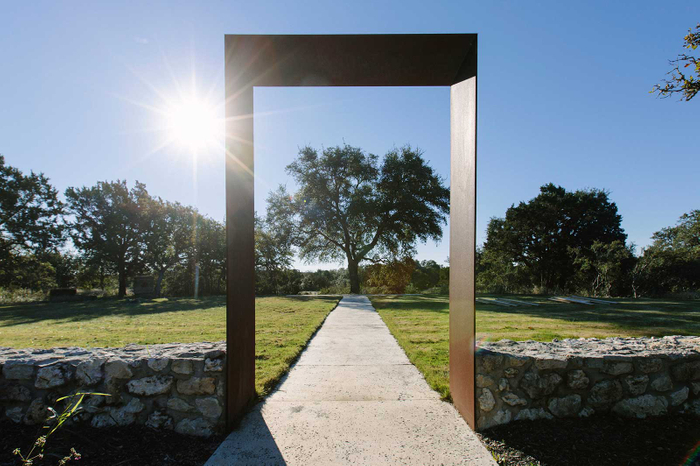 The grounds feature a free-form limestone pool and spa, a fireplace for gathering, serenity garden for quiet reflection, outdoor dining and seating areas, and hiking/biking trails. The expansive acreage also provides the perfect landscape for our low and high ropes courses and 9 holes of disc golf. Here our residents experience safety, trust, and hope in a peaceful refuge designed to eliminate distraction and empower each person to focus on reflection and recovery. Each passionate and dedicated member of our team was selected for their specialty, experience and compassion. We believe that quality of care is directly linked to employees feeling valued and empowered in their role. Our strengths-based environment and dedication to organizational health allows for each team member to see the importance of their part in the collective success of the team. We take great pride in fostering a work community that both excites and challenges our employees so that we may best serve our clients and their families. We have found that when employees feel known, understood, and accepted they thrive in their role, leading to a more positive treatment experience for all involved. We consider Driftwood Recovery to be a legacy program, built on integrity and excellence and intended to outlast our Founders so that we may serve future generations. We are dedicated to the long term and backed by a driving force: to help another human being recover. We are a small, privately owned organization and we believe this allows us to provide authentic care in a multitude of ways. First, it allows for clinical freedom to collaborate with experts in our field, allowing for a more creatively constructed, well-rounded treatment episode. Another benefit is our ability to practice transparency, not only with our team, but with the clients and families we serve. When decisions are made by you and not for you there is a greater sense of responsibility and commitment to integrity. Lastly, we are generous with our time and do not operate under the time constraints that are so common in healthcare today. Healing takes time; change takes time. At Driftwood we hold space for each client in our care so that our team can facilitate sustainable change and healing in the lives of our residents.